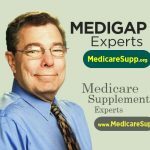 Established in 1999, the American Association for Medicare Supplement Insurance (AAMSI) is an organization created to create heightened understanding amoung consumers about Medicare Supplement (Medigap) Insurance and to support insurance professionals who market Medicare insurance solutions. AAMSI does not market or sell Medicare Supplement insurance products. The organization hosts the industry’s Medicare Supplement insurance conference now held annually and ,maintains the nation’s largest online directory of Medicare Supplement insurance agents. The Medicare Supplement Find An Agent online directory is designed to be a free service for consumers. Insurance agents pay a nominal fee to be listed and AAMSI does not screen or vet agents prior to them being posted. We always urge all consumers to make sure all information is provided in writing, that you make certain the insurance professional you work with is properly licensed in your State and that they read all material carefully. Jesse Slome is founder of the organization and serves as director and producer of the Medicare Supplement industry conference. Slome also established insurance organizations focused on long-term care insurance (American Association for Long-Term Care Insurance) and shot-term care insurance (National Advisory Center for Short-Term Care Information). We strive to provide consumers with the best possible relevant and current information that will enable them to evaluate and make educated decision. We believe in professional development and develop and make available resources to help further the Medicare Supplement industry and those professionals who offer Medicare products to their clients. 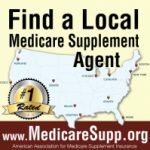 The Association Find A Medicare Supplement Agent online directory is designed to be a free service offered to help consumers. Insurance agents pay a nominal fee to be listed and AAMSI does not screen. vet, or endorse any agent posted. We always urge all consumers to make sure all information is provided in writing, that you make certain the insurance professional you work with is properly licensed in your State and that you read all material carefully. Since AAMSI is not endorsing any insurance agents, it is not responsible for, and disclaims any liability for the acts or omissions of agents listed on the directory. AAMSI is also not responsible for and makes no representation concerning the skill, honesty or competence of any insurance agent.